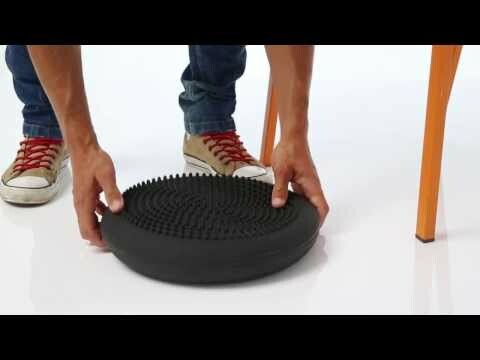 The Togu Dynair Senso ball cushion is a dynamic cushion, exercise trainer and back trainer in one. The Togu Dynair Senso ball cushion comes with detailed exercise instructions so you can train in a way to suit your training level. Whether for back exercises, stabilising the spine and ankle, pelvic floor or stomach – this training cushion is a great all-rounder for sitting and exercising on. Can also improve your posture. This cushion is an essential for physiotherapy, rehabilitation and at-home use.